Please read these Terms and Conditions (the "Agreement") carefully before entering into the Mall program. These terms and conditions constitute the agreement between you, on the one hand, and us and this Rewards site ("we" or "us"), on the other hand, governing Membership in the Program (the "Terms and Conditions") and it is your responsibility to read and understand the Terms and Conditions before accepting. By enrolling as a Member in the Program (a "Member") you agree to be bound by the Terms and Conditions. Participation in the Program is at the discretion of all parties. 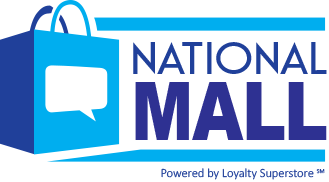 Loyalty Superstore℠, Inc. powers and operates this Mall website and program (the "Program") enabling Members of this Rewards Program to earn Rewards points ("Points") for qualifying purchases made through this Mall website and at participating in-store merchants. The Program and Rewards are made available strictly on an "as is" and "as available" basis. We make no warranties, express or implied, that the Program will be uninterrupted or error-free. You agree and acknowledge that we have no control over and are not responsible for the content of, or claims made on, the websites of participating or direct merchants. The terms, conditions, warranties and representations associated with any transactions between you and a participating or direct merchant of the Program are solely between you and the merchant. WE MAKE NO REPRESENTATIONS OR WARRANTIES, EITHER EXPRESS OR IMPLIED, INCLUDING, BUT NOT LIMITED TO, CONDITIONS OF QUALITY AND FITNESS FOR A PARTICULAR PURPOSE OR ALL IMPLIED WARRANTIES AND THOSE ARISING BY STATUTE OR OTHERWISE IN LAW OR FROM A DEALING OR USAGE OF TRADE REGARDING THE SERVICES, MATERIALS, OR GOODS, ADVERTISED, PROMOTED, SOLD OR OTHERWISE MADE AVAILABLE THROUGH A MERCHANT PARTICIPATING IN THE PROGRAM EITHER DIRECTLY OR INDIRECTLY. YOU EXPRESSLY AGREE THAT YOUR PARTICIPATION IN THE PROGRAM AND PURCHASE OF GOODS OR SERVICES FROM A MERCHANT ARE AT YOUR OWN RISK. YOU AGREE THAT NEITHER WE NOR ANY OF OUR AFFILIATES, OFFICERS, EMPLOYEES, OR CONTRACTORS WILL HAVE ANY LIABILITY WHATSOEVER FOR ANY DIRECT, INDIRECT, OR CONSEQUENTIAL DAMAGES, INCLUDING ANTICIPATED REVENUE, SAVINGS OR GOODWILL, LOSS OF PROFITS, LOSS OF REVENUE OR OTHER ECONOMIC LOSS, ARISING OUT OF YOUR PARTICIPATION IN THE PROGRAM, EVEN IF ADVISED OF THE POSSIBILITY OF SUCH AN EVENT. Please refer to each Merchant's website for all terms and conditions relating to the merchant transaction, including but not limited to, guarantees, warranties, payment terms, shipping, delivery, taxes, return policies and processing of returns. We make no warranties and disclaim responsibility for fulfillment of the transaction between you and a participating or direct merchant. We will make reasonable efforts to respond to any inquiries made by you within 30 days. You acknowledge and understand that we may audit all transactions initiated via the Mall website to verify that transactions were completed, have not been canceled and qualify for a reward as outlined in this Agreement. You understand and acknowledge that if we suspect fraud, that we may investigate and report any evidence, including personally identifiable information to law enforcement and other governmental or judicial authorities. We, at our sole discretion, may suspend and/or cancel a Member's account or login, or deny access to the links to participating merchants with or without cause at any time. In the future, if the merchant or subsequent operating entity pays for the suspended award, it will be released and posted to the Member's account. Awards that have already posted to the Member's account will not be reversed in the case of bankruptcy. Loyalty Superstore℠, Inc. RESERVES THE RIGHT TO MODIFY ANY OFFER AT ANY TIME WITHOUT NOTICE. - You must complete your transaction within any session generated when clicking a valid link. We cannot award Rewards for any purchase made through a secondary merchant within a participating merchant's website. If in doubt about whether or not you are in a valid session you should reenter the Mall website and then click on the "shop now" link for the merchant that you wish to shop at directly from within the Program website, and then complete your transaction. We reserve the right to cancel or change the Mall program at any time without notice. We may endeavor, but will not be obligated, to notify you of changes or cancellations but disclaim responsibility for failure to do so or any errors in attempting to contact you. The information we collect (name, email address, and physical address) is used to track and send the Points Members earn. Additionally, we may use information on the stores you visit or the offers you view on Loyalty Superstore℠ to select special offers that will be relevant to you. We do not share that information with our store partners or other third parties. We reserve the right to disclose your personally identifiable information as required by law and when we believe that disclosure is necessary to protect our rights and/or to comply with a judicial proceeding, court order, or legal process served on our Web site or to protect Loyalty Superstore℠ and its Members from losses. The security of your personal information is important to Loyalty Superstore℠. Loyalty Superstore℠ uses a secure, encrypted connection (called an SSL connection) on all pages where you access or transmit personal information. Loyalty Superstore℠ will never ask for your username, password or any other personal information in an unsolicited phone call, email or letter. Further, any contact with Loyalty Superstore℠ customer service in which personal information is exchanged with a customer service representative will be used only for the purpose of satisfying your request. Any personal information you provide will not be recorded or used for any reason beyond that of the stated request. If you choose to use our referral program to tell a friend about our site, we will ask you for your friend's name and email address. We will automatically send your friend a one-time email inviting him or her to visit the site. Loyalty Superstore℠ stores this information for the sole purpose of sending this one-time email and tracking the referral your credits. Your friend may contact us at info@loyaltysuperstore.com to request that we remove this information from our database. Loyalty Superstore℠ sends customer service emails required to maintain the Loyalty Superstore℠ (like Point credits & reward notifications); and promotional emails featuring special offers. You may choose not to receive promotional emails at any time from My Loyalty Superstore℠ or by clicking the "unsubscribe" link in an email. We specifically prohibit spamming by our Members and we explicitly prohibit it in our Terms & Conditions. If you would like to report an incident of spamming using our tell-a-friend capability, please contact us. We will investigate and take suitable action. Loyalty Superstore℠ requires its Members to have cookies enabled in order to accumulate Points rewards. Periodically we may send you emails on new features or special offers. On every one of these emails you will be given the choice to unsubscribe from Loyalty Superstore℠ promotional mailings. Simply follow the directions in any of our emails. It is the Member's responsibility to update and maintain accurate contact information in their account. You can make changes by visiting your account page and entering corrections. This information will be utilized to contact you and Loyalty Superstore℠ is not responsible for items or communications sent to an incorrect addresses provided by you. It is your responsibility to checking periodically for program policy updates. We are not responsible for your inability to connect to the Internet, access the Mall website or access a participating merchant's website. Points accrued via the Mall Program are non-transferable. Any violation of the aforementioned Terms and Conditions may cause the Member's account to be cancelled and any or all points pending or awarded may be forfeited. The design, content and subject of this website are copyright © 2019 Loyalty Superstore℠, Inc. Loyalty Superstore℠ is powered by ShopWebTV, LLC. Products and names mentioned on Loyalty Superstore℠ are registered trademarks of their respective companies. Copyright© 2019 ShopWebTV All Rights Reserved.